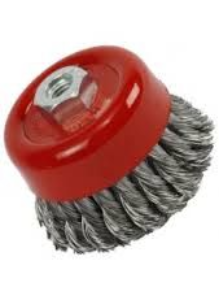 Twist knot cup brush fits to angle grinders. Twist knot steel wire cup brush. Used on angle grinders for heavy cleaning of work piece.